Anne Carroll Moore, the New York librarian who changed children's lit forever. Outside of library circles, Moore may be best known today as the lady who insisted that publishing Stuart Little would ruin E.B. White’s reputation. As recounted by Jill Lepore in the New Yorker, Moore—who despite her retirement from the NYPL remained a figure of formidable influence until her death in 1961—had cajoled White for years to finish the children’s book he’d been working on. Like many people who make their profession in the support of books and reading, Moore felt a proprietary pride in the titles she championed and wasn’t shy about taking credit for the success of her favorites. But she hated Stuart Little from the moment she read an advance copy in her residence at the Grosvenor Hotel on Fifth Avenue. Her reasons for this are not entirely clear; White and his wife, Katharine, fiction editor for the New Yorker, threw out the 14-page letter in which Moore detailed her objections. But Moore’s own notes indicate that she felt White had made a fatal error in muddling the realistic and the fantastic in such a way that child readers might be confused. As White recalled it, “She said something about its having been written by a sick mind,” and that it would be “bad for children”—but then, authors are notorious exaggerators when it comes to characterizing their bad reviews. White’s book thrived despite Moore’s lobbying to keep the NYPL from purchasing copies and to keep Stuart Little off the nominating lists of the major library prizes. In this tale, Moore represents the fuddy-duddy old guard in opposition to a new (and notably New Yorker–ish) generation of authors and publishers. The new wave was personified by White’s friend and editor for Stuart Little and, later, Charlotte’s Web, Ursula K. Nordstrom. Nordstrom, 40 years Moore’s junior, would go on to become a legend in her own right by publishing Harriet the Spy, Harold and the Purple Crayon, Where the Wild Things Are, and Where the Sidewalk Ends, some of them, perhaps, also not the sort of books Moore would find perfectly suitable to recommend purchasing. It all depends on your perspective, however. Move the slider of history back 30 years and Moore was a revolutionary. Until the late 19th century, libraries weren’t even considered a fitting place for children under 10, and the first children’s rooms, installed in the 1890s, were initially meant to cordon off noisy young patrons so they didn’t bother the adults. Moore pioneered the children’s room as we still know it today: a homey space with plenty of comfortable, child-size chairs, art on the walls, space for events like storytelling, which Moore almost singlehandedly made a regular feature at libraries. All children’s librarians adopted her credo of the Four Respects: respect for children, respect for children’s books, respect for one’s colleagues, and respect for the children’s librarianship as a profession. None of these was a given before Moore and her cohort came along. Two excellent books published a few years ago, Minders of Make-Believe by Leonard Marcus and Bookwomen by Jacalyn Eddy, recount how a group of formidable women, of which Moore was one of the leading lights, essentially created and ran the children’s book industry in the early and mid-20th century. 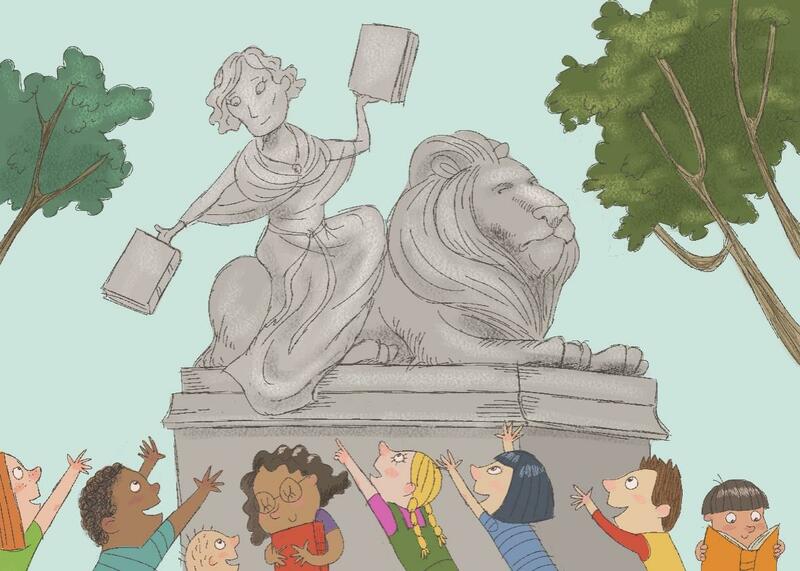 In libraries, but most especially in book publishing, children’s departments were the only divisions where women could rise to positions of authority. Those offices became havens for ambitious women who loved books, but they were also genteel ghettos of a sort. 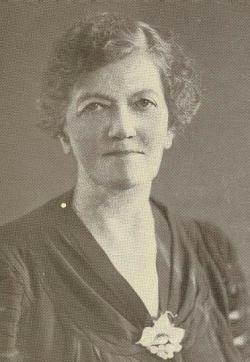 “I suppose that’s a subject on which a woman might be supposed to know something,” said the head of Macmillan to Louise Seaman Bechtel, who ran the first dedicated children’s book department at a major American publisher. Moore’s pet cause was the improvement of children’s literature itself. Apart from the occasional great title produced as a one-shot by a talented author whose main interests lay elsewhere (Alice’s Adventures in Wonderland, Just So Stories), she rightly regarded much of what was then being published as “mediocre” and poorly produced. Moore surveyed the field and found it “strewn with patronage and propaganda, moralizing self-sufficiency and sham efficiency, mock heroics and cheap optimism.” Librarians as a whole rejected series fiction like Horatio Alger’s paeans to rags-to-riches American individualism or, later, the Nancy Drew, Bobbsey Twins, or Hardy Boys books. They hated the flimsy paper and binding, material evidence of the contempt publishers felt for their young readers. Without a doubt, Moore had her peculiarities. She kept a wooden puppet named Nathaniel on her desk and took it with her when speaking to groups of children. (Sometimes she made it talk to her adult visitors, as well.) She could be high-handed and intimidating. In her later years, she remained fixed to positions she’d adopted in her heyday, rooted in conflicts that had long since expired. Part of her objection to the integration of fantasy and realism in Stuart Little, for example, might have derived from the schism between children’s librarians like Moore, who favored fairy tales and other “timeless” and archetypal narratives, and educators like Lucy Sprague Mitchell, founder of the Bank Street College of Education, who believed that children should be given books with contemporary settings depicting relatable situations and problems. It can’t be easy to leave the job that has been your mission and the center of your life. As Horn Book critic Barbara Bader bluntly puts it, Moore “lived too long, and too much enjoyed playing the role of quirky despot, for the good of her reputation as primal force.” But she was that force and changed the world of children’s books for the immeasurable better. She deserves to be remembered for that, and not just for her aversion to certain nattily dressed mouse.